Originally published under the title "Leading Muslim Cleric Says Persecuted Coptic Christians Are "Criminal, Aggressive, and Oppressive." 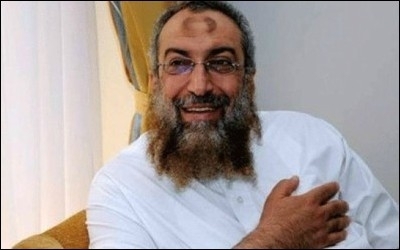 Yassir al-Burhami: Coptic Christians are "infidels who are on their way to hell." Dr. Yassir al-Burhami, Egypt's premiere Salafi, was once again videotaped inciting hate for and violence against the nation's Christians, the Copts—including by decrying the notion of giving them their full human and civil rights: "When you cooperate with a criminal, aggressive, oppressive, infidel minority, you attack the rights of the majority [Muslims]." We call them "our Christian brothers, the infidels." And I use the word "brother" in its common usage: we say, yes, they are our brothers in the nation—but they are infidels who are on their way to hell ... and we advise them to break away from the authority of the taghut [meaning "idolatrous," "tyrannical" or "oppressive"] Church. Discussing this video, Egyptian talk show host Yusif al-Hussayni made several important points, including that "among these Islamic groups, use of the word taghut is synonymous with 'go and kill!' That's how Anwar Sadat was killed—he was first described as a taghut. So when Burhami describes the leaders of the church as taghut, this is the same as if he were to incite against and kill them." Al Azhar doesn't accuse Burhami of inciting hatred and violence against minorities. Indeed, there isn't a single pious Muslim who is zealous over his religion, who does not permit his religion to be equated with hatred, violence, and incitement against other religions, who bothered to file a case against Yassir Burhami. Not one! Indeed, while riots and violence regularly erupt whenever a Christian is merely accused of liking a Facebook page critical of Islam, followed by the arrest and prosecution of the accused, no Muslim seems to care when Christians are mocked or attacked in the name of Islam, even though Egypt's "defamation of religions" law is supposed to protect Christianity and Christians as well in Egypt. Hussayni pointed out that by allowing people such as Burhami to continue to preach and disseminate their message, the Egyptian government, by default, supports this message of hate and violence against Christians. As others have indicated, it's not enough for Egyptian president Sisi merely to speak out against radicalism, or do PR visits to Coptic churches. So long as people like Burhami are permitted to disseminate such hate-filled messages, so long will Christians suffer.